The Chinese New Year is a huge festival which is celebrated not just in China, but in many other parts of the world. 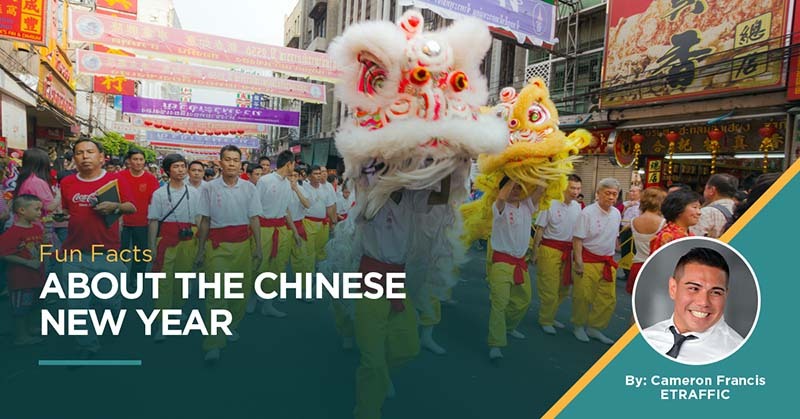 Around 20 per cent of the population celebrates the Chinese New Year, and it is a fun and positive event where people look forward to what the next year has to offer. Let’s take a look at some things that you may not know about this important event on the Chinese calendar. 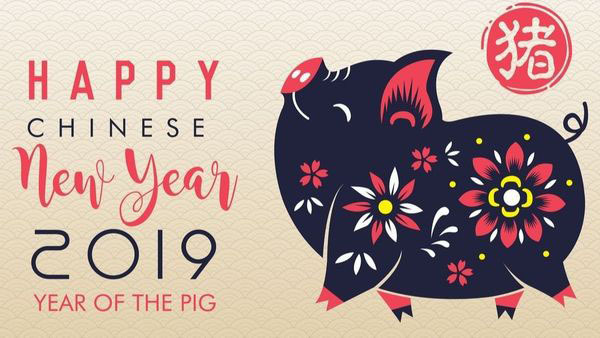 The Chinese New Year is also known as the Spring Festival, and the date changes because it relates to the lunar calendar, not the Gregorian calendar that we use in our day to day lives. The Chinese New Year can be as early as January 21st, or as late in the year as February 20th. So be sure to check a Chinese calendar to make sure you have the right dates. In 2019, the Chinese New Year is on the 5th of February. There are a number of celebrations across the world when people set off fireworks. Bonfire Night in the UK is famous for it, and New Year’s Eve is a big celebration as well. The Chinese New Year was also, historically a fireworks-focused celebration, and because there are so many Chinese people all over the world, you’ll find that there are a lot of lanterns, fireworks and firecrackers set off. 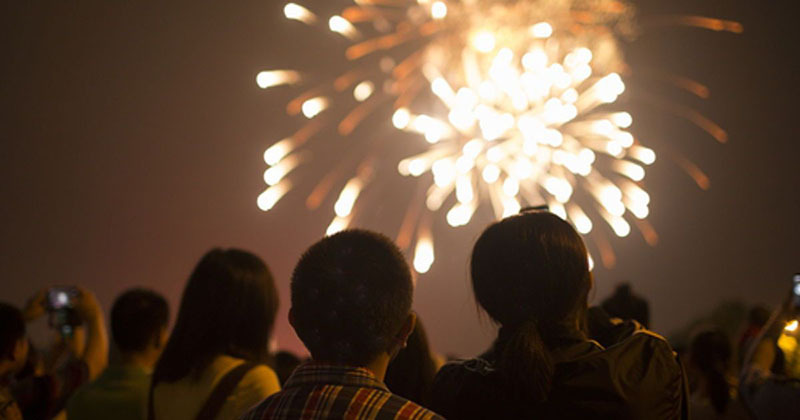 Because of safety concerns, some parts of the world (and indeed even some parts of China) are banning fireworks, citing fear from the pollution about the ingredients used to make them, not to mention fire risks also. The Spring Festival which is a part of the Chinese New Year lasts for 15 days, and celebrations start the day before New Year’s Eve, making the celebrations 16 days long. The Chinese actually have a period of celebrations that is similar to the Christmas period that westerners enjoy because the Laba Festival starts in December. If you include that period then the holiday spans 40 days. The tradition is that Chinese people should spend the first five days with their family, and can go out only after that. The Chinese New Year is an important national holiday, and the whole country will pause for it, with most stores closing. This means that just like people stocking up for Christmas and New Year, the Chinese spend the month before the holiday stocking up on snacks, gifts and groceries so that they aren’t caught without any essentials while the shops are shut. Because family reunions are so important during this period, there is a huge ‘migration’ of people. In modern China, a lot of elderly people live in rural areas, while their children have moved out to the cities. 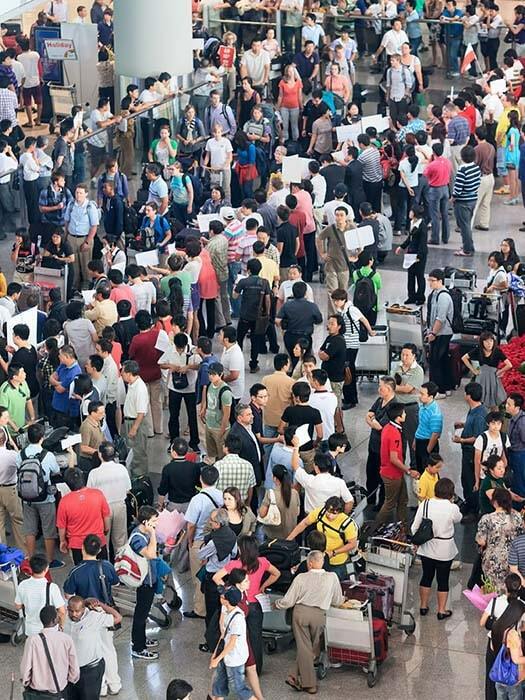 The rush of people to come back home is known as the ‘chunyun’, with billions of trips being made each year. Airports and train stations are crowded, ticket prices soar and people sometimes get into fights over tickets, because they sell out weeks in advance. There is travel chaos, but because it has been going on for so long the associated companies are good at dealing with it, and they encourage people to rotate seats on longer journeys so that everyone has a chance to rest. If you think that Christmas dinner is stressful, you’re not alone! Young Chinese people go through similar problems when it comes to being quizzed about their dating life because it is so important for children to pass down the family name and have children. Some young people resort to having to hire an actor to play the role of girlfriend or boyfriend. Hiring yourself out to play that role can be a good way to make money and to avoid having to go home for yourself! There are some interesting taboos and traditions associated with the Chinese New Year. The Chinese have a number of superstitions and believe that certain acts could bring misfortune. It is forbidden to say unlucky words such as ‘death’ or ‘sick’. Cleaning and sweeping during the celebration period are taboo, but there is a day of cleaning before the festival. It is thought that if you clean during the celebration you may accidentally sweep away good luck. Showering is forbidden, and cutting your hair is not allowed until after the end of the festivities. 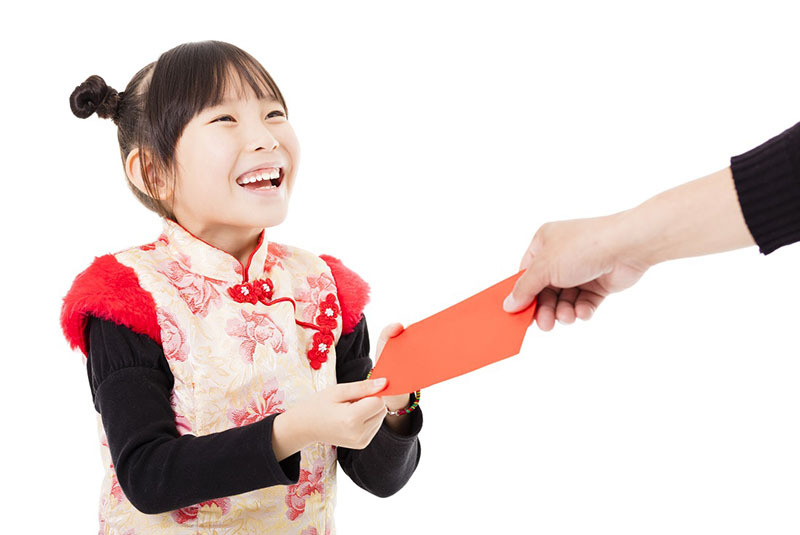 Where children in western cultures are given gifts over the Christmas period, the Chinese give gifts during the Spring Festival, and children are also given money in red envelopes. The tradition dictates that the money transfers fortune from elders to children. These red envelopes can be given to co-workers, friends, or employees as well. There are a lot of symbolic foods in Chinese culture. The soup balls, or tangyuan, symbolise reunion because the name sounds similar to “tuanyuan”, which is the Chinese word for “reunion”. There are some rice cakes called “nian goa”, which symbolise success, and there is a festive cake called “fa gao”, which symbolizes wealth. The Chinese also enjoy wine, and there are many different kinds of wine that are enjoyed during this period. There are some strict rules when it comes to how toasting works at meal times, depending on the relative ages of the people who are participating in the meal and where they sit. If you ever visit China, whether during the New Year period or during other times of the year, then you should make an effort to learn about the toasting etiquette. Chinese New Year is a time of togetherness and celebration, and the idea behind a lot of the traditions is to bring luck and good fortune to the household for the year to come.